Jose Mourinho has admitted that he is struggling to adjust with Manchester United’s life without Champions League action, as the Portuguese boss has already started planning for the transfer business in the off-season. Manchester United have been forced to settle for only Europa League football this term after former manager Louis van Gaal failed to secure a top-four finish in the Premier League last season. The Red Devils are now preparing for the round of 32 clash in the Europa League against Saint-Etienne and Mourinho is keen to get back into the Europe’s elite, with United sitting sixth in the Premier League and five points behind fourth-placed Liverpool ahead of tonight’s match against Hull City. “Personally, I miss the Champions League,” Mourinho was quoted by the Daily Mail. “Every match I don’t play in the Champions League means an incredible number of matches is not going up. “I am the youngest one to be in the club of 100. Every time I don’t play I am not happy. “But obviously Manchester United is much more important than me. What matters is Manchester United, and as everyone knows, it’s a club that belongs to the Champions League. “We shall do everything possible to make sure we are in it next season. 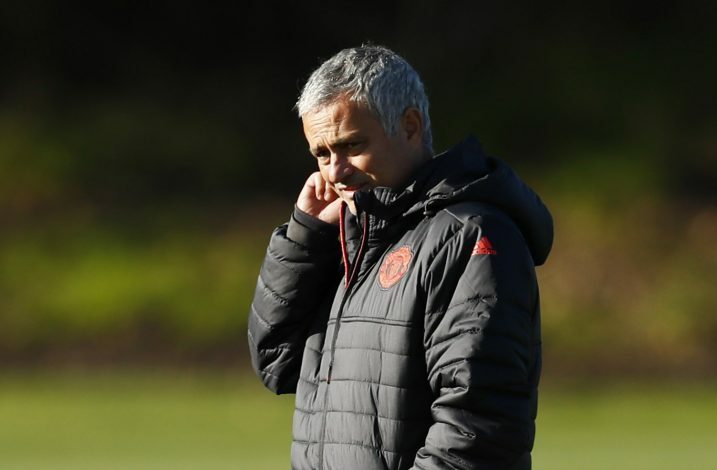 But Mourinho has complete faith in his squad to deliver Champions League football either with a top-four finish or by winning the Europa League despite a relatively quiet January transfer window. United brought in no reinforcements from the winter market, with Morgan Schneiderlin and Memphis Depay the only players to leave, but Jose Mourinho is all set to step up his transfer activity at the end of the season.